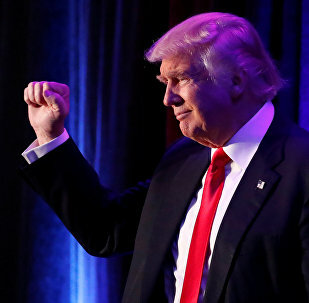 On November 9, Republican candidate Donald Trump won the US presidential election triumphing over his Democratic challenger Hillary Clinton. Prior to the US presidential election, Scandinavia emerged as one of Europe's most inveterate Clinton supporters. The outcome of the election has hardly changed Nordic popular opinion, which still remains strongly anti-Trump. 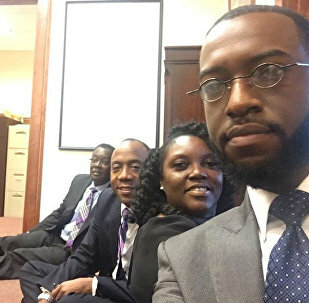 Six African-American activists have been detained after staging a sit-in against US President-elect Donald Trump's controversial nomination of Jeff Sessions for the post of the next US Attorney General. US President-elect Donald Trump announced his campaign manager Kellyanne Conway will serve as Counselor to the President, his transition team said in a press release on Thursday. 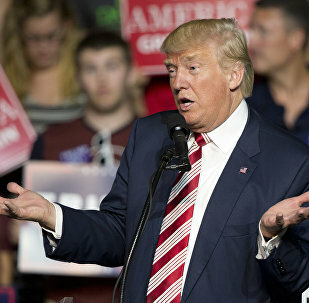 The US Electoral College vote held on Monday confirmed the November 8 presidential election victory of Republican candidate Donald Trump, despite a strong campaign against him. President-elect Donald Trump is considering former governor of the US state of Texas Rick Perry as US Secretary of Energy in his administration. 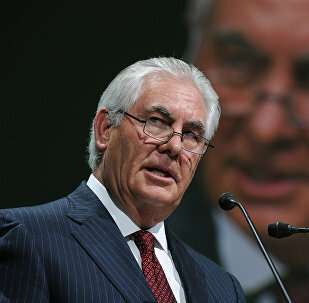 Donald Trump confirmed on Tuesday that he would nominate ExxonMobil Corporation CEO Rex Tillerson to serve as the US state secretary. The Trump transition team said efforts to investigate Russia's alleged interference in the US election were merely an attempt to delegitimize the Republican's victory. Russia's deputy foreign minister said there were no reasons for speculations regarding revision of US elections results. A Russian official expressed hope that Donald Trump would carry out policy in accordance with his pre-election statements. US President-elect Donald Trump's campaign manager Kellyanne Conway said that she was still receiving death threats from former US Secretary of State and Democratic presidential nominee Hillary Clinton's supporters. President-elect Donald Trump said on Wednesday that allegations that Russia interfered with the US presidential election. Economy, gender equality, migration and counter-terrorism - everything is expected to get worse with Donald Trump in the White House, according to an analysis by Swedish Foreign Ministry that the Swedish tabloid newspaper Expressen got their hands on. A recount of US presidential election votes will not change the outcome and will be a waste of time and money, president-elect Donald Trump said on Sunday. 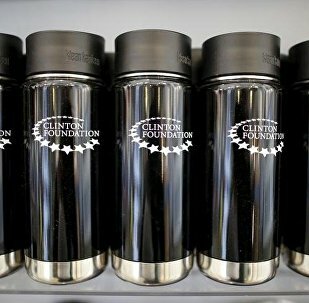 The administration of US President-elect Donald Trump plans to exert pressure on foreign states to make them investigate the activities of the Clinton Foundation in their countries. 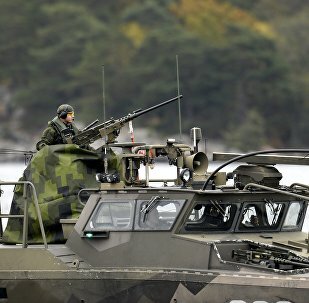 Donald Trump's election victory has brought significant changes to Scandinavia's rhetoric, making the US the major "uncertainty factor" instead of an "aggressive" Russia. In Sweden, Trump's triumph evoked ambivalent reactions, re-heating the perennial NATO debate. Belgium’s People’s Party hopes that Donald Trump will lift sanctions against Russia in order to restore the US-Russian relations, Belgian lawmaker and party member Aldo Carcaci told Sputnik. One in four members of the US armed forces is concerned that President-elect Donald Trump, once sworn into office, may issue orders that violate military rules or tradition, according to a poll released Friday. Donald Trump's transition team confirmed that the president-elect intends to nominate Jeff Sessions as Attorney General, Mike Pompeo as Director of the Central Intelligence Agency and Michael Flynn as the Assistant to the President for National Security Affairs. Battered global bond markets stabilised after losing $1.2 trln in value due to the Bank of Japan's (BOJ) introduction of caps on debt yields, aimed at protecting the ultra-accommodative monetary environment in Japan, putting the case for a December Fed rate hike into question.